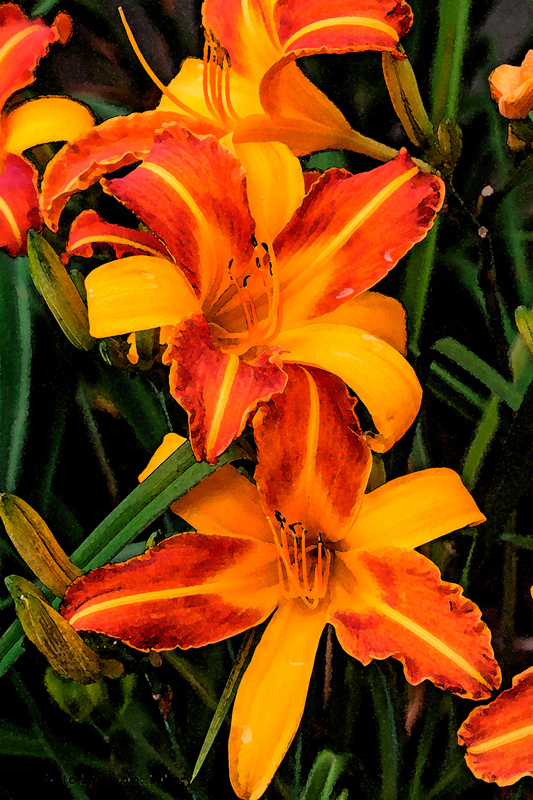 Last year Betsy and I established a new bed of day lilies. 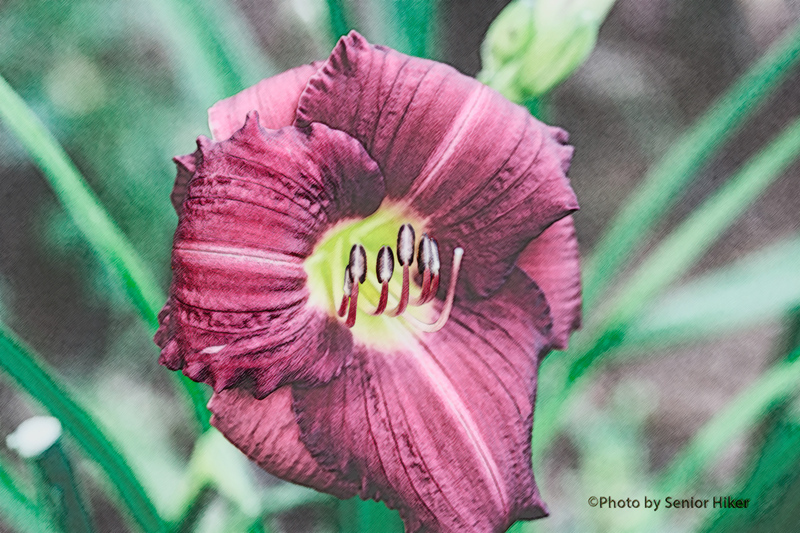 All of the day lilies in this new bed are re-bloomers, so we will be able to enjoy these blossoms again in the autumn. 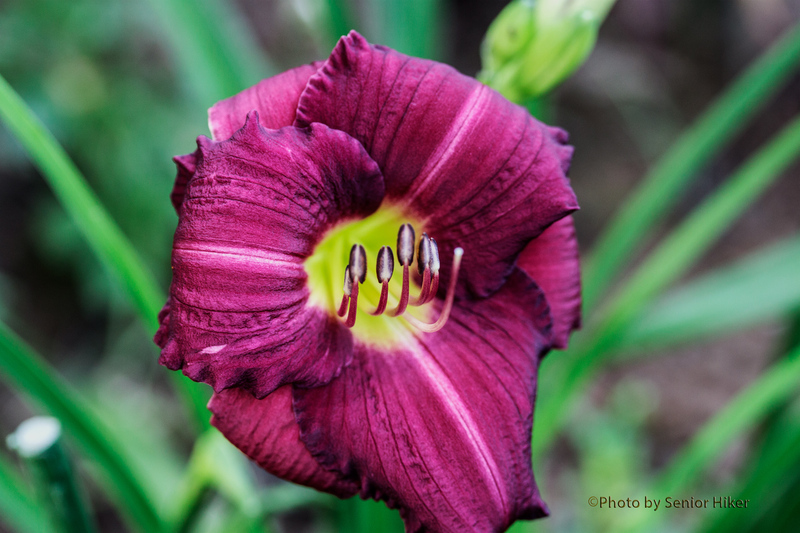 Palace Purple is one of the new day lilies in this bed. The color of this blossom perfectly fits its name. The painting above is of the Touching lilies in the flower bed near the road in front of our house. 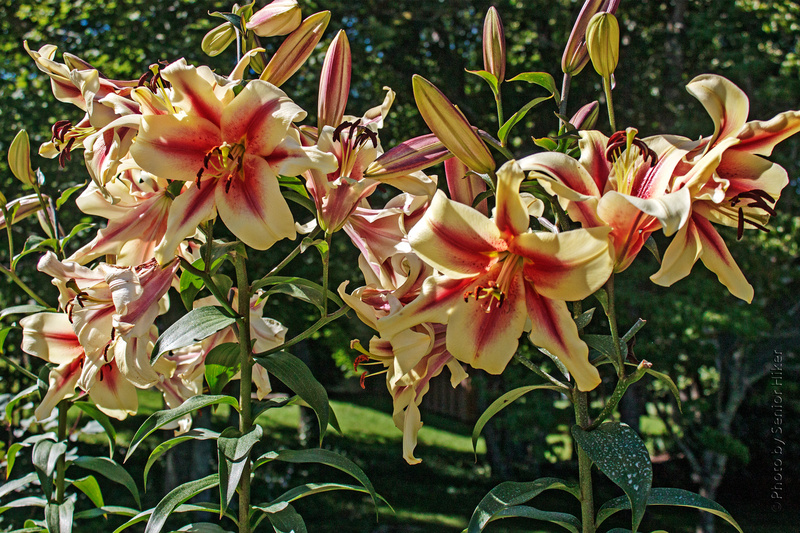 The blossoms on these lilies are huge, and of course, we think they’re beautiful. They attract quite a bit of attention from people traveling up and down the road as well. 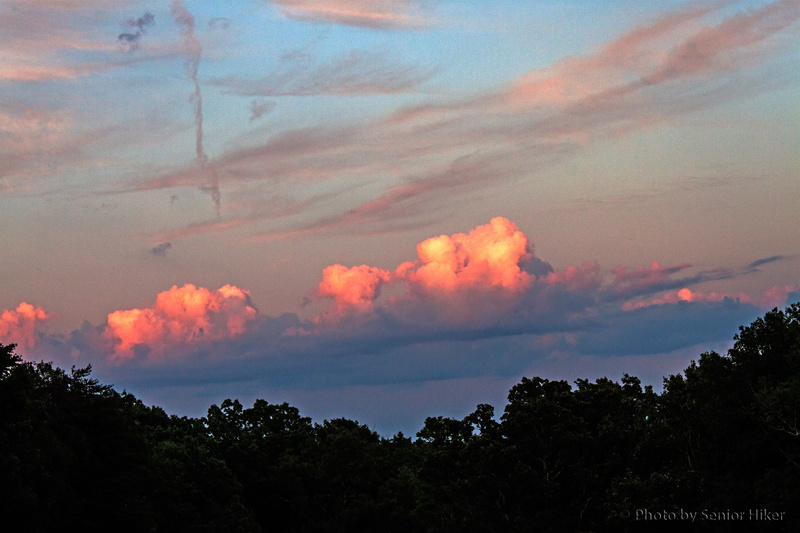 We think Fairfield Glade is beautiful in any season and at any time of the day. 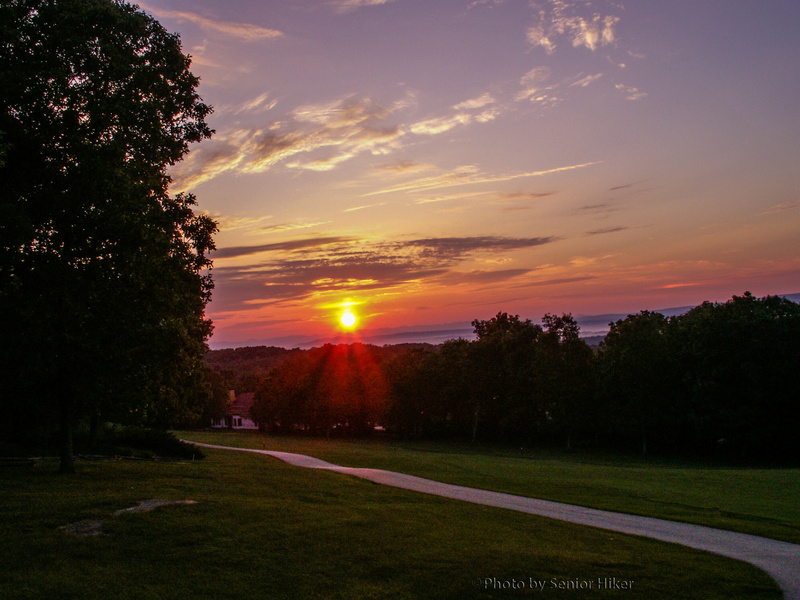 This scene shows a fairway on the the Druid Hills Golf Course in the early morning with fog in the valley below. 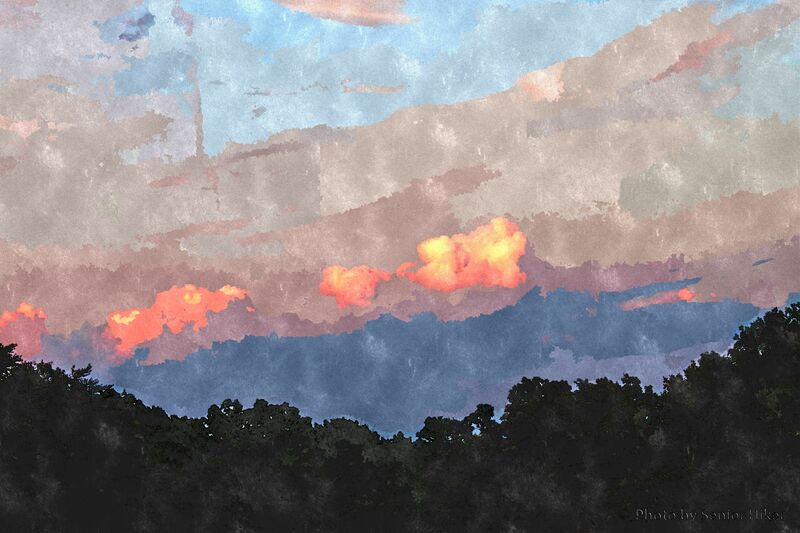 The picture on which this painting is based was taken on a June morning several years ago and is shown below. 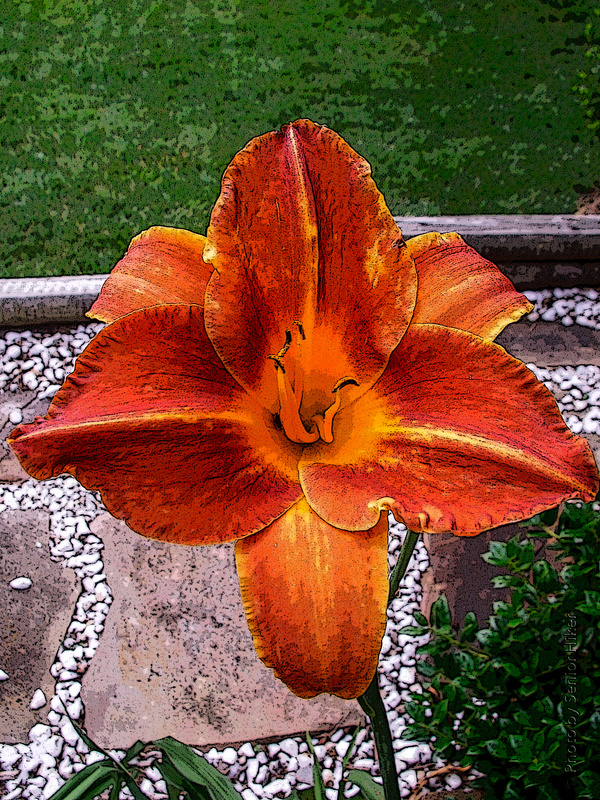 Betsy and I don’t have quite as many day lilies as roses, but we do have quite a few. One of the main attractions of day lilies is that they require very little maintenance. Of course, they are also very beautiful. 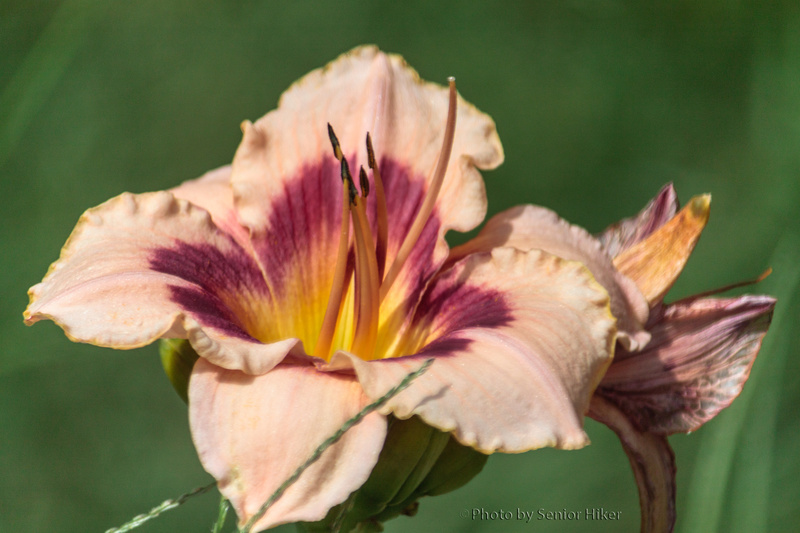 Bright Sunset is one of the day lilies we’ve had the longest. This particular plant is at the side of our garage. 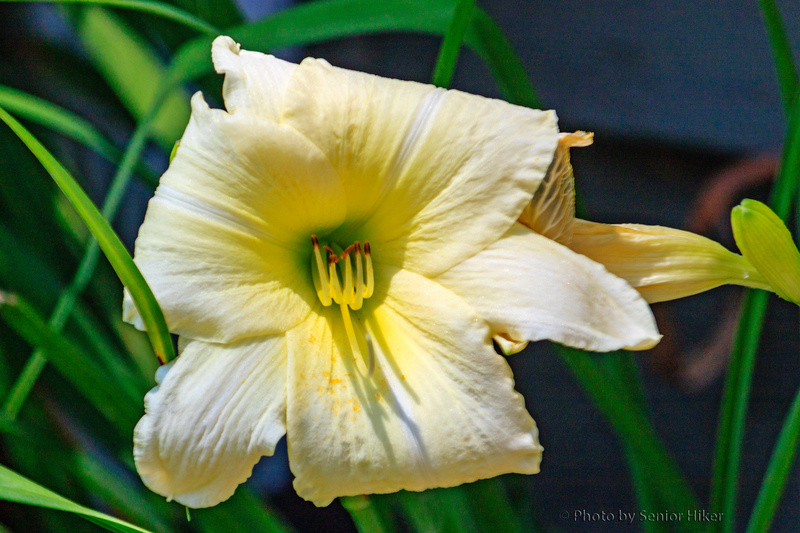 We have quite a few day lilies in our yard. Custard Candy is one of them. I was playing with a photo of Custard Candy trying to create an ‘old’ appearance to the image. In the process I managed to change the color of the blossom, but I liked the result anyway. To see the true color of this blossom, you need to check the photo below. The problem with day lilies is that their blossoms last for only one day. But during that day, the blossoms are beautiful. 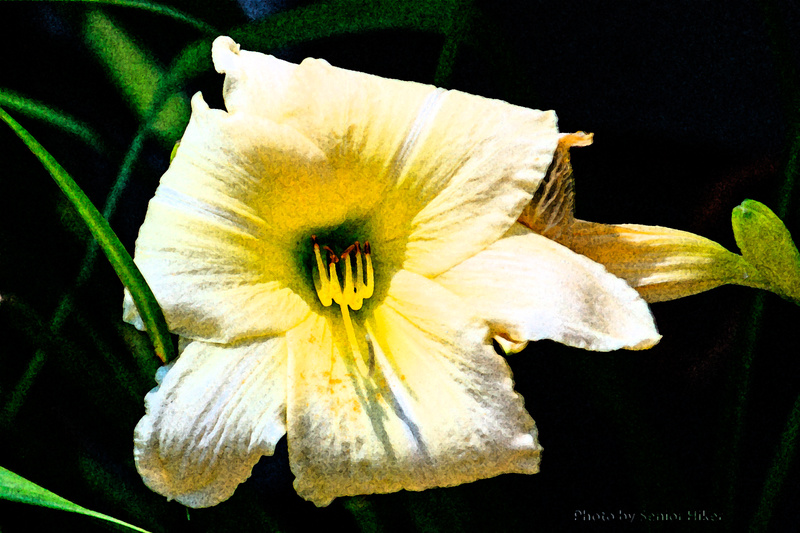 Fred Ham is a day lily up near our garage where we can enjoy it as we go in and out of the house.